Description: Set in New York's Russian emigre community, Vaclav & Lena is a timeless love story from a stunningly gifted young novelist. 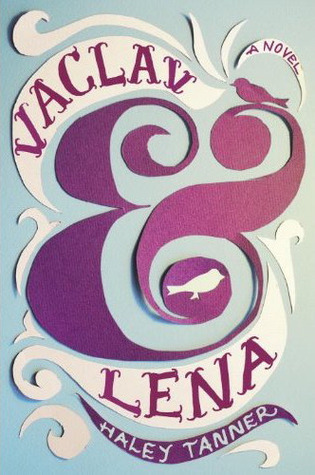 Vaclav and Lena, both the children of Russian emigres, are at the same time from radically different worlds. While Vaclav's burgeoning love of performing magic is indulged by hard-working parents pursuing the American dream, troubled orphan Lena is caught in a domestic situation no child should suffer through. Taken in as one of her own by Vaclav's big-hearted mother, Lena might finally be able to blossom; in the naive young magician's eyes, she is destined to be his "faithful assistant"...but after a horrific discovery, the two are ripped apart without even a goodbye. Years later, they meet again. But will their past once more conspire to keep them apart?. "IT is not safe, for Vaclav, out in the world, with his eyes open to everything and his heart beating right on his sleeve, with his dreams in his hands, ready to show and tell." "Rasia thought that this Houdini person probably drove his mother to an early grave, worrying her with all his death-defying feats and doing Chinese water torture, and was not someone Vaclav should be so interested in. But Vaclav wanted to hear a story about a little boy who came to America and became a big, brave, magical man, and this she understood." "Watching him, you would think that he changed his clothes, maybe into a tuxedo with tails, but you would look and be surprised that he is still wearing the same jeans and T-shirt." I received this from Random House in exchange for an honest review -- Thanks Jess you were right on!